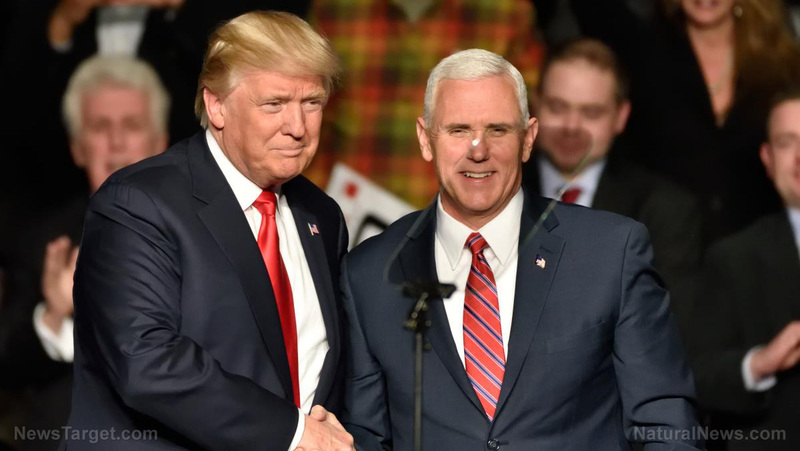 (Natural News) Liberals have been on an endless tirade against Vice President Mike Pence ever since then-candidate Donald Trump first chose him as his Vice President. But things have really been heating up in recent weeks, as the baby-killers left of the aisle seethe over what conservative blogger Matt Walsh says is their utter hatred of Christianity. Though they probably wouldn’t put it in such terms themselves, the leftists who won’t shut up in mocking, harassing, and verbally degrading the Vice President – including many so-called “Christians” – are really just fulfilling what the Holy Scriptures say that people who hate God will do when confronted by people who actually love Him and follow His commands. One of the latest examples of this was late-night loudmouth John Oliver, who went on a delusional rant against Pence following the recent release of his daughter’s children book. Oliver, a God-hating liberal, mocked the book, turned one of its characters gay, and spurred his mindless followers to leave nasty reviews on the book’s Amazon page. Why did Oliver do this? Neither Pence nor his daughter made any public fanfare about the book, nor did either of them make any public statements that could have been considered offensive to anyone. Their only “offense” is the fact that both of them are Christians, and neither would ever write a book about gay bunnies and other perversions – which thus makes them enemies to heathens like John Oliver. It’s the same spirit of evil that spurred daytime blabbermouth Joy Behar to falsely accused the Vice President of being “mentally ill” simply because he prays to God. Even though Oprah Winfrey also says she prays, including about potentially running for president in 2020, Winfrey is given a pass because she worships another god, which apparently aligns with or is the same as the one Behar worships. Pence has also been harassed by deranged lunatic Jimmy Kimmel, various homosexual Olympians, Broadway actors involved with the play “Hamilton,” gay militants in Georgia, people who support baby murder at Planned Parenthood, and on and on the list goes. And once again, it all has to do with the fact that all of these people hate God and Mike Pence doesn’t. Walsh also points out the fact that many self-proclaiming Christians have also condemned Pence for his convictions that marriage is between a man and a woman, and that babies shouldn’t be ripped out of their mothers’ wombs and torn to pieces in the name of “women’s rights.” Walsh says these people are hardly Christians, which is obvious by the fact that they don’t adhere to what the Holy Scriptures have to say on these matters.